Google’s href="https://beta.techcrunch.com/2015/09/27/google-announces-plan-to-put-wi-fi-in-400-train-stations-across-india/"> long-anticipated Wi-Fi for railway stations in India is slowly going operational starting tomorrow. As was announced late last September, Mumbai Central railway station will be the first location at which Google will provide high-speed internet access. The program, part of Google’s Access & Energy Team, is in partnership with Indian state-owned company RailTel. RailTel has built a network of fiber-optic lines along most major rail tracks across the country, which Google will be using to support Wireless Access Points at train stations. Initially, the partnership aims to provide access points at 100 train stations across India, with plans to grow to 400 stations nationwide. 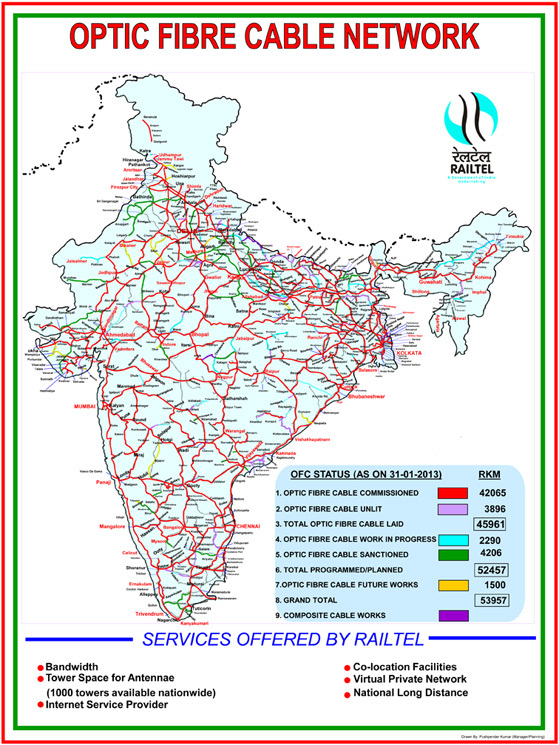 RailTel’s fiber-optic infrastructure covers over 26,000 miles of railway track, and the company plans on growing that to cover 33,000 miles of track. At the moment, internet access is limited to train stations, with access points not being mounted on trains themselves. The program was first announced when Indian Prime Minister Narendra Modi visited Google’s campus last September, and was detailed further when Google CEO Sundar Pichai wrote about it on the Official Google Blog. At the moment, internet services at Mumbai Central and other pilot stations will be free and unrestricted. “Best of all, the service will be free to start, with the long-term goal of making it self-sustainable to allow for expansion to more stations and other places, with RailTel and more partners, in the future,” wrote Pichai on Google’s Official Blog. Taking a look at the scope of India’s railway system really gives an inkling of the scale of the operation. Mumbai Central Railway Station alone supports 962 individual trains on a typical day, both for Mumbai’s local commuter rail as well as for longer-haul intercity trains. The city’s commuter rail services alone transport around 7 million people daily, which gives you an idea of the kind of bandwidth that the system supports. As it spreads to more stations and rail subnetworks nationwide, it’s going to be interesting to see if Google can continue to support the speeds and connectivity that is currently promised. Google’s decision to provide internet services for free at the onset comes at an interesting time for India given the ongoing debate over Facebook’s Free Basics program in the country. While for the moment internet access through the new system is both free and unrestricted, Google does have plans to make the system financially viable. It hasn’t yet clarified if this will be supported by access fees or other types of monetization routes.